Senator Langerholc Appointed to Key Senate Panels - Senator Wayne Langerholc, Jr.
Sen. Wayne Langerholc, Jr., (R-35) has been selected to serve as Vice Chair of the Senate Judiciary Committee and as a member of the Senate Appropriations, Transportation, Game and Fisheries, and Local Government Committees. The appointments to Senate committees were announced today by Senate President Pro Tempore Joe Scarnati (R-25). 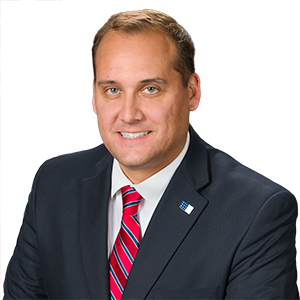 Earlier this month, Langerholc was appointed by Scarnati to serve as Chair of the Senate Communications and Technology Committee for the 2019-20 legislative session. In that position, Langerholc will work with committee members on issues related to modernizing communications and technology systems that could impact Pennsylvania residents. Langerholc, who served as an Assistant Cambria County District Attorney before running for the Senate, said he is especially pleased to be chosen to serve as Vice Chair of the Senate Judiciary Committee, which oversees a wide a variety of issues, including criminal justice, crime, crime victims, public safety, prisons, sentencing guidelines and the judiciary. Langerholc will continue to serve on the Senate Appropriations Committee, which reviews all legislation for its fiscal impact and plays a crucial role in developing the state budget. Beginning next month, the committee will hold annual hearings to examine the spending levels of every state department, agency and board. Langerholc said Senate committees play a key role in developing strong and effective policies and legislation.